We just came back from a two-week trip to Europe full of family celebrations with birthday parties and a wedding. Also we took a two-day trip to Paris. Please keep in mind that Paris is as far from my German hometown as Dallas is from Houston, it’s really not a big deal. I have been to Paris multiple times before but this trip was the first time for me to actually go to the top of the Eiffel Tower and inside the Louvre Museum. The Louvre is huge. It houses 35,000 pieces of art on 652,000 sq ft. But most people just come for one painting: The Mona Lisa. The Louvre has giant wall paintings, hundreds of sq ft big, telling entire dramas of human history. The world’s greatest artists are represented. The halls are lined with billions and billions of dollars worth of the finest art. 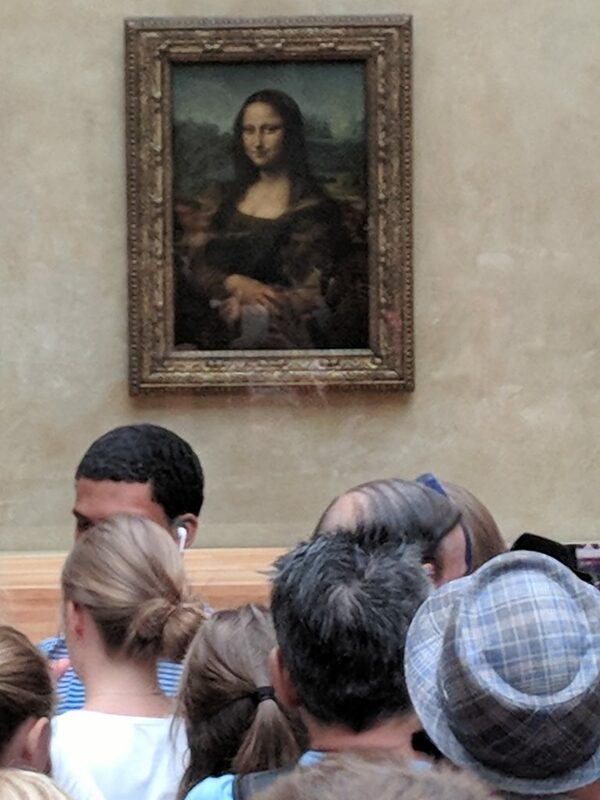 But for one reason or another, the biggest crowds are drawn to that one room where you have to elbow your way to the farthest wall just to catch a brief glimpse of this letter size painting of a young woman looking at you. You are a different piece of art, unlike the Mona Lisa. God is the artist who created you. Mona Lisa will just look back at you the way you look at her. What goes around comes around. The invitation from God is a different one: See yourself as the image of God. That way you cannot discard yourself. That way you cannot bow before any idols, because you are created in the image of God. You are wearing God’s face on your face. You are God’s beloved creation. Your image is worth more than the all the artwork of the Louvre combined. Pick up a mirror, look at yourself, and behold the image of God.